The poet Ian Duhig who is also one of the judges in the Remember Oluwale Writing Prize, on race, writing, and form in poetry. Will you write about Duggan? the man wants to know. Why don’t you? you ask. Me? he asks, looking slightly irritated. ― Claudia Rankine, Citizen. How do you write creatively about social injustice and racial violence without sacrificing art to the political point? This question has been hotly debated both here and in the USA in recent years. The David Oluwale Memorial Association (DOMA) Symposium held in April 2015 took place against the background of furore caused by Kenneth Goldsmith’s appropriation of Michael Brown’s autopsy report for a piece of Conceptual writing the previous month. DOMA has always had a lot of involvement from writers and poets with Caryl Phillips being its founding patron and still involved which, now he’s a professor at Yale, means DOMA has been alert to American developments; board member the poet Sai MuRai shared a platform with Patrisse Cullors, co-founder of Black Lives Matter, six weeks before Goldsmith’s reading. This controversy felt close to home because Conceptual writing is more prominently represented near us in Yorkshire than almost anywhere else in these islands, with Shandy Hall, one of its leading international centres, where both Goldsmith himself and Craig Dworkin have held residencies. Sandeep Parmar in a Wolf magazine editorial responding to this essay wrote, “Hong’s argument that poets who address race or racial politics are excluded from intellectual coteries of avant-garde or ‘innovative’ poets is hard to dispute — partly on the basis that you can’t be both ‘post-racial’ (or ‘post-identity’) and dissolve the poetic subject if you’re always read as a poet of colour”, going on to say that in her experience of the two countries you are more easily pigeon holed as an ‘ethnic’ writer in the UK than the USA. When you are so pigeon holed, like the Northern Irish writers during the Troubles, you will either be accused of cashing in on or ignoring the predicament of your community, whether or not you feel a part of any community. 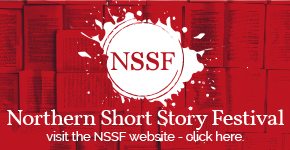 At bottom, are these controversies really centred on the morality of differing poetic techniques? It is perfectly possible, and I think on balance likely, that Goldsmith does feel that his work has highlighted racism and police violence in American society. But at what cost? Perhaps a poet interested in social and political engagement should adopt a manner strategically consonant with her times and the political topography she finds herself working within, developing new forms or blends when existing ones prove inadequate to our predicament. At the opening of Claudia Rankine’s Citizen we read: “When you are alone and too tired even to turn on any of your devices”, which alludes to the usual devices of poetry as well as those of technology, in a book which goes on to be brilliantly innovative. I hope to see a wide range of work and forms in the Remember Oluwale Writing Prize because there is no one right answer in art. Recent poetry like Rankine’s has shown that porous borders between poetry, prose, lyric essay and song, can be fertile territory here but traditional forms in the hands of writers like Patience Agbabi can be radical as well. The alchemical wedding of heart and mind in poetry is one of its chiefest glories in poetry. Good luck with the courting. Some of this article appeared in a longer version published in Poetry London. 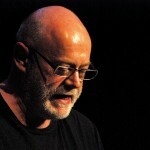 Ian Duhig is a poet based in Leeds and one of the judges for the Remember Oluwale Writing Prize. He is a former homelessness worker. His seventh book of poems The Blind Roadmaker is a PBS Spring 2016 Recommendation. A joint winner of a Shirley Jackson Award for short stories, Duhig has won the Forward Best Poem Prize, the National Poetry Competition twice and three times been shortlisted for the TS Eliot Prize. 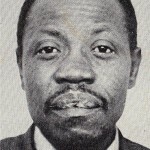 He has written about David Oluwale for the Big Bookend. You can read his article here. SPECIAL FREE EVENT: OLUWALE NOW.